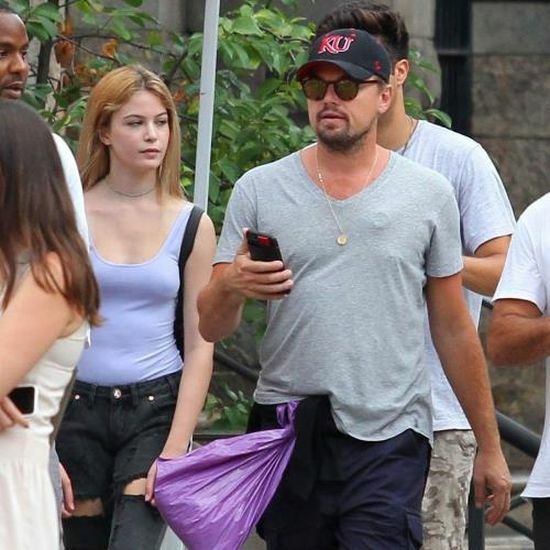 The people of the internet are busy trying to figure out what Leonardo DiCaprio is hiding in this purple plastic bag, but the mystery has yet to be solved. I want to know what the circular protrusion is on the left side of his chest. 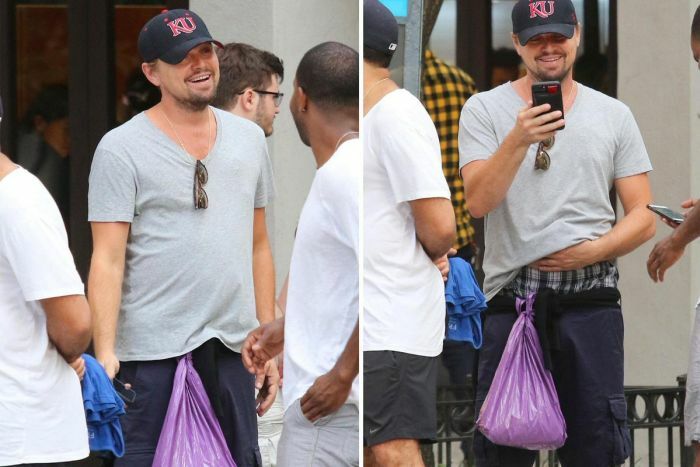 I'm guessing the plastic bag is wet swim shorts. The circular protrusion looks a bit like a condom, tbh.